In collaboration with the SVA Products of Design class of 2015. Most young Americans do not vote. 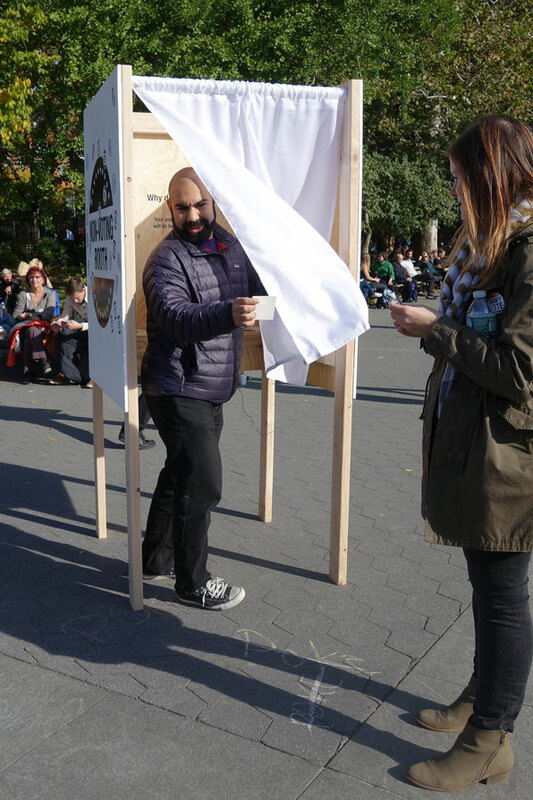 This Non-Voting Booth set out to explore why. 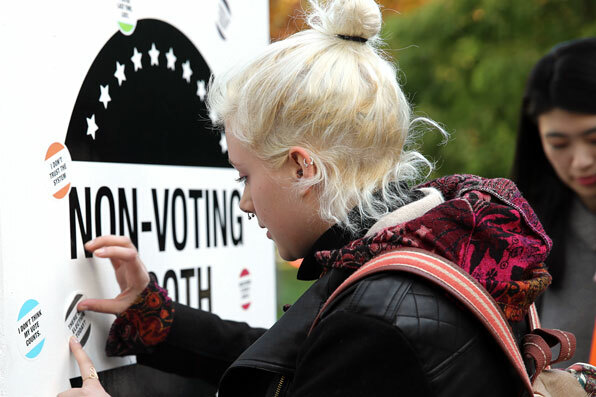 Research shows that young people tend not to vote in the U.S. midterm elections, but also shows that young people who start to vote early in their voting lives are more likely to become habituated to the behavior as they mature. 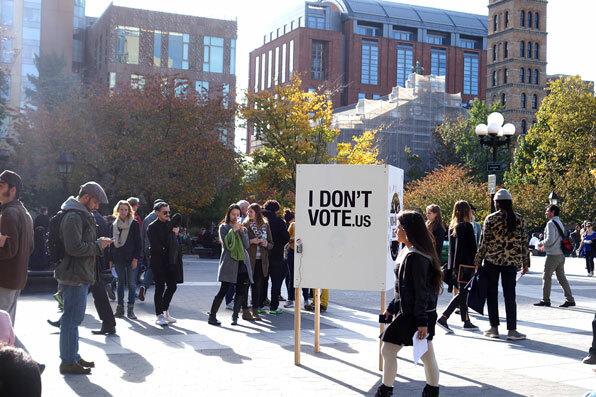 The graduate students from SVA’s MFA Products of Design program wanted to find out why young people don’t vote by creating a campaign and design intervention called “I Don’t Vote”—addressing apathy and framing the discussion around both the predicted and unseen reasons for opting out. The campaign was grounded in an I Don’t Vote Manifesto, and in an online website and mobile webapp, an in-person booth, sticker, and button campaign. I choose not to vote because I don't feel like being a part of our political system. I look forward to a day when the only people who vote are those with the genuine opinion about my own experience, environment, and personal well being. I'm happy with things as they are and the trajectory upon which our country currently travels and I'm totally comfortable leaving this in the hands of other who do vote. I vow to continue complaining about our government despite choosing not to vote because I know my vote doesn't count and that there are a lot of people and institutions who benefit from me not voting and I'd like to keep it that way. 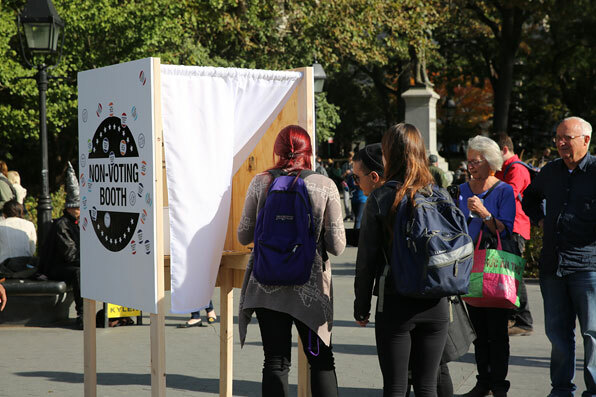 Taking place on election day—November 4th, 2014—the students built and installed in the storied Washington Square Park of downtown Manhattan a “non-voting booth,” where visitors told their stories of non-voting, declared their thoughts with pre-printed rationale stickers, and engaged with students in conversations around the act of voting and political participation. 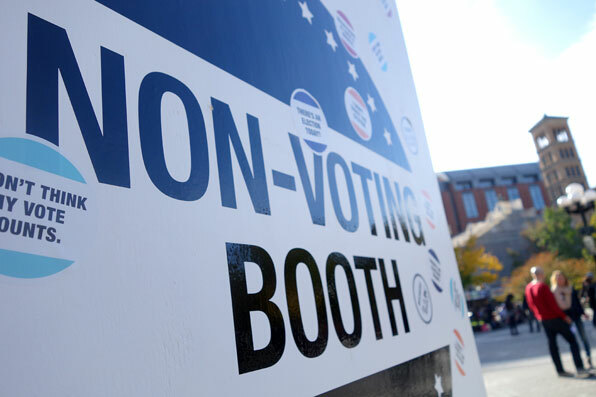 After surveying students from three area Universities, the team encountered five typical reasons for not voting, and these became the basis for the intervention. “We wanted to start a dialog about the importance of voting, as well as finding out why young voters are so apathetic about it—particularly during midterm elections,” comments Steve Hamilton, Class of 2015. 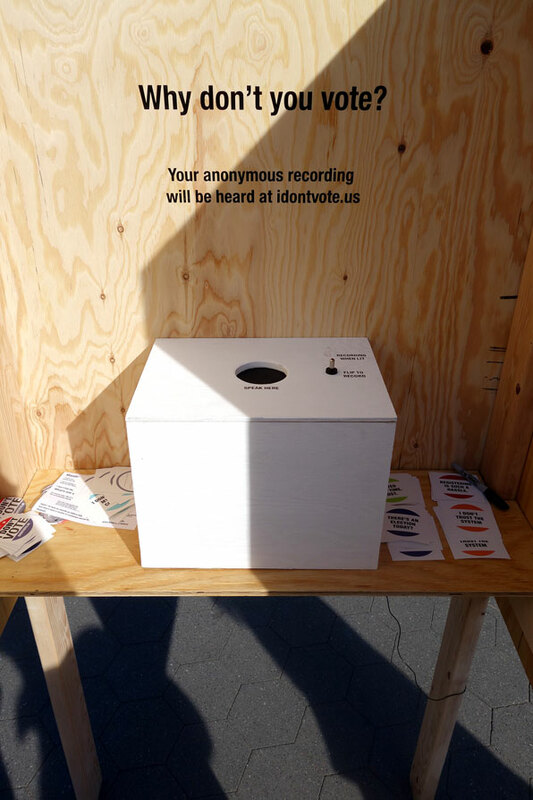 The booth contains a “ballot box” equipped with a recording device, and upon entering, young people have the opportunity to “tell” the ballot box in their own words why they don’t vote. 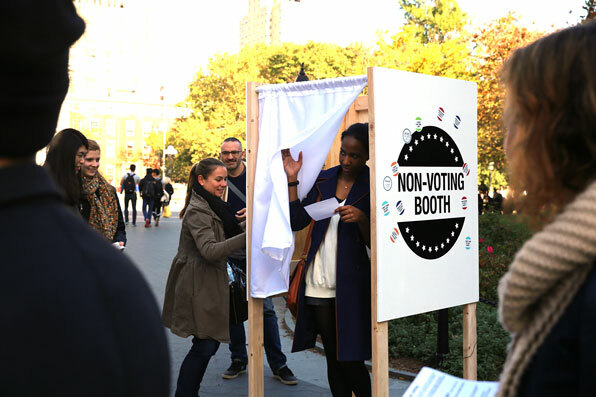 After sharing their thoughts privately, visitors were then offered a selection of stickers from the five available options (or filled in their own with a marker), placing it on the booth in a kind of “live non-voting.” Over the course of the event, every visitor got to have an impact on the finished complexion of the non-voting booth.